Qatar’s support to the Muslim Brotherhood in Mauritania is still on; as former Mauritanian Prime Minister Sidi Mohamed Ould Boubacar on Saturday announced that he will run in the upcoming presidential election due in June 2019. Boubacar, 61, said in a statement Saturday he had decided to run as an independent candidates after "deep examination of the situation in the country" and discussions with "political figures and forces". 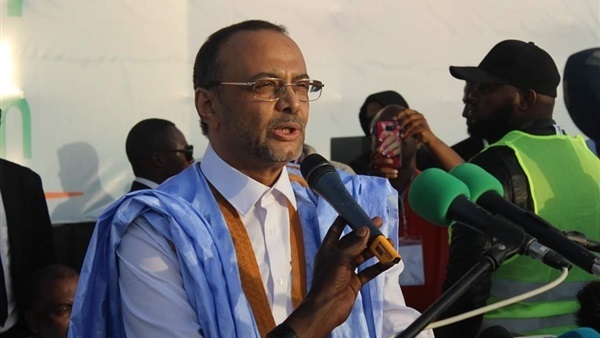 Ould Boubacar claimed he would stand in Mauritania’s presidential election as an “independent candidate”, but with support from the opposition Islamist Muslim Brotherhood-affiliated party Tewassoul. The Muslim Brotherhood decided to nominate Ould Boubacar after the opposition failed to agree on a sole candidate against the government nominee General Mohamed Ould Ghazouani, the current Minister of Defense. In March, Qatari Leaks revealed that Qatar’s regime is trying to penetrate Mauritania again by supporting Ould Boubacar in the presidential run. Ould Boubacar’s relation to Qatar was exposed upon meeting with Cheikh Mohamed El Hassan Ould Dedew, who is known for his close relation with Doha, and spent the recent period in Turkey, before he came back to Mauritania. According to Mauritanian press, Qatar is trying to convince some of its loyal parties in Mauritania with providing the necessary support to Ould Boubacar, not to mention that Doha is funding Boubacar’s presidential campaign. Sidi Mohamed Ould Boubacar was Prime Minister of Mauritania from 1992 to 1996 and again from 2005 to 2007. He was born in 1957 in northwest Mauritania’s Atar. In March 1984 he became Treasurer General of Mauritania. Subsequently, during the rule of Maaouya Ould Sid'Ahmed Taya, he became Director of the Supervision of Publicly Owned Establishments in 1985, Director of the Budget in 1986, and Controller General of Finances in 1987. He became Director of the Plan in December 1987, then Director of the Treasury and Public Accounts in April 1988.